One of the problems with Shaquille O’Neal being retired is that he spends his pensioner days as an NBA analyst and avid twitter user is that he seems to be trying to deliver some kind of agenda; in the center of it? He is the best center, and no one, especially Dwight Howard, is barely close to him. Big egos find it hard to be less the relevant than they used to be. Shaquille O’Neal wasn’t a dominant center during his last few years in the league, moving from team to team, trying to find one last shot at an NBA title ring, so he’ll beat or match Kobe Bryant. Eventually he retired with four, one less than Bryant, a decade after his most dominant period in the NBA. Still a productive center, but out of shape, and rarely healthy enough to play more than 20 minutes. And there was always the Dwight Howard issue. 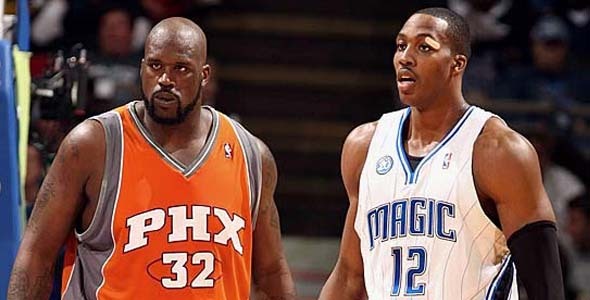 Shaq never likes the comparisons, the competition, even if Howard wasn’t as good and might never be. O’Neal never misses an opportunity to take a shot at the new Lakers center, who has undoubtedly been the best big man in the NBA over the last few years. The latest? Shaq saying that both Andrew Bynum and Brook Lopez are both better than Dwight Howard. Bynum and Lopez might both have a bit more variety in their offensive game, but Howard’s dominance in the paint when it comes to offensive board, before even mentioning his defense, which is better than Shaq’s ever was and is the most dominant defensive force in the NBA is pretty much enough to put him above anyone else in the Center category. Howard, you might have guessed it, is kinda sick of hearing Shaquille O’Neal taking yet another opportunity to try and belittle him. What do we need to get on the same page for? I have respect for him and what he did for basketball. That’s it. Like I said, he’s already did his thing. He played. And when my time is up, there’s gonna be somebody else who can do everything that I can do. Probably do it better. And instead of me talking about him, I’ll do my job to try to help him get to where I’m at. I think that’s what guys who’ve done it before us should do. Too many parallel lines between the two. The Orlando Magic, now the Los Angeles Lakers. Howard making a name for himself as a franchise-destroyer like O’Neal was sometimes rumored to be. 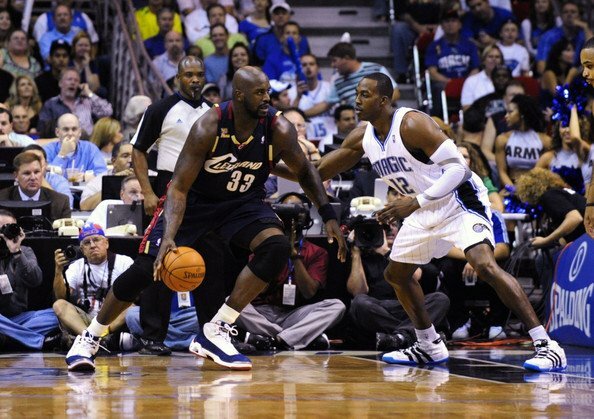 O’Neal was one kind of center, in a different type of basketball era during his earlier and best days. Howard is something different. Not as good, most would agree, but it’s a different game now, a guard oriented NBA. There’s no use in this personal bickering, usually coming from O’Neal’s direction, using most of his time on the air and in retirement to settle old scores no one cares about.